Vac uum excavators have gained steady popularity in the oil and gas pipeline market in the wake of increased focus on safety and damage prevention. These low-impact, high-volume machines allow contractors to excavate around delicate infrastructure while ensuring pipeline integrity. 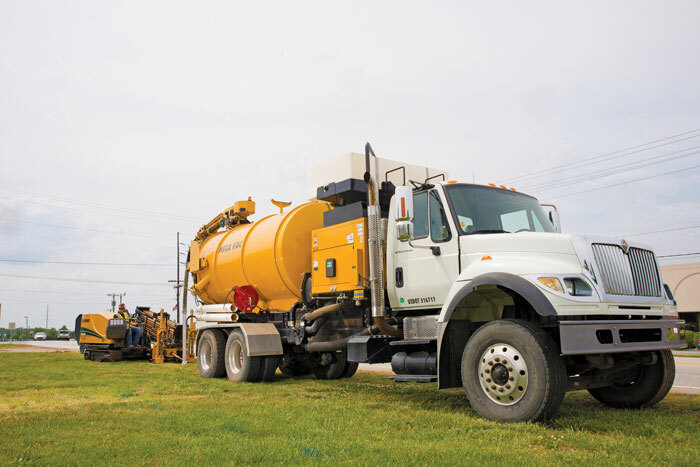 Contracting companies such as Energy Services South, headquartered in Alabama, use vacuum excavators to expose pipelines prior to ditch work and employ the machines’ pressure washing capabilities, according to foreman Quinton Howard. The company provides pipeline construction and maintenance services to the natural gas and crude oil pipeline industry, including pipeline construction of all diameters, line relocation and lowering, pipeline rehabilitation, repairs and other maintenance. Energy Services South has offices in five states and is licensed to do work in 28 states. The company is continuing to expand its geographic footprint and add to its service offerings, which includes teaming up with other PLH Group companies to provide these additional services. Howard says Energy Services South has been using vacuum excavators in its jobsites for three years. 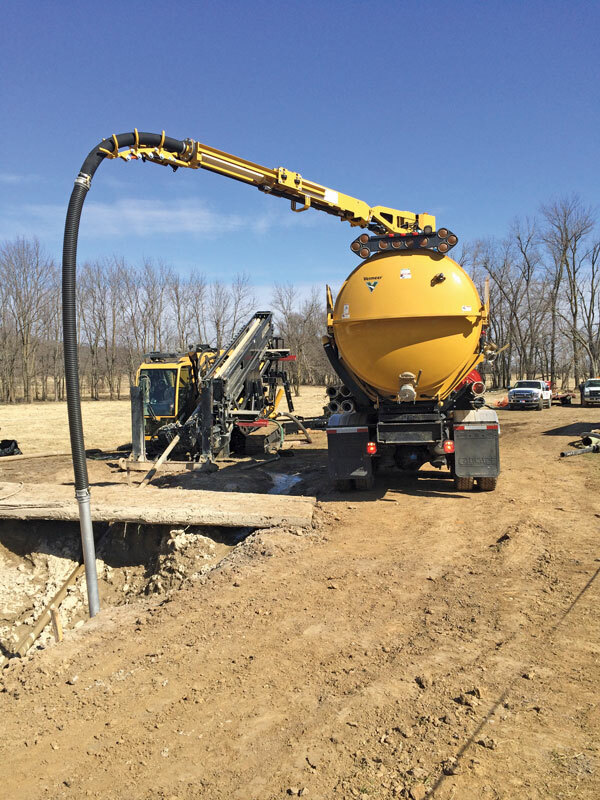 Pipeline contractors are using vacuum excavators in a growing number of applications, according to Jeff Wage, vice president of sales and marketing for McLaughlin, which manufactures a wide range of vacuum excavators. Pipeline and oil segments are using vacuum excavators to pothole any utilities that may intersect new installations and to quickly and surgically verify the lines; for drill mud management and cleanup from horizontal directional drilling (HDD) applications; to excavate around sensitive utilities vs. using a backhoe or excavator, which could risk damage to the utility; for rig site cleanup; and to spray down and cleanup containment mats on fracking projects. Wage says vacuum excavators can be truck-mounted, trailer mounted or even mounted on “buggies” for work on the pipeline and “go anywhere” capabilities. Why does a vacuum excavator make sense for your line of work? Howard: Vacuum excavators give us the ability to expose “Hot Lines” without using dangerous equipment (excavator, backhoe, etc.) to expose the line. Using vacuum excavators also give us the ability to see the lines and the unit is quite agile allowing us to move it to different locations easily on the right of way. What considerations went into your decision? Howard: We use vacuum excavators to safely expose the lines — one of the most non-destructive ways to do this — and it’s a cost effective machine. What were some unexpected challenges you faced when first using a vacuum excavator? Howard: We can be working in some very difficult terrain, so the weight of the unit is important to consider. When loaded with mud, this can cause challenges. In addition, having enough spoil capacity is another issue — you need to right size the unit to the terrain and size of the project to minimize trips to unload. How does the vacuum excavator perform in different climates/seasons? Howard: It works well in all climates as long as antifreeze is used below freezing conditions. How has using a vacuum excavator changed the way you approach a new project? Howard: It allows us to start projects faster, having all of the existing utility lines exposed in advance, and this in turn helps create a safer work environment for our crews. What impact does the machine have on how you bid projects? Howard: It depends on how many line crossing there are. It can increase productivity in situations where we need to cross multiple lines in a project. How does a vacuum excavator affect jobsite safety concerns? Howard: It lessens the risk to operators hitting a live or hot line with equipment. It increases safety for the whole job. Why have vacuum excavators become popular in the oil and gas pipeline industry? Wage: Overall more uses are being identified for the technology on projects, and engineers and contractors are becoming more familiar with the technology. How do vacuum excavators affect pipeline safety and integrity? Wage: The ability to quickly, safely and surgically excavate reduces risk of striking existing utilities and is a more convenient and user friendly method to physically spot utilities. What size machines are popular in this sector? Wage: Truck-mounted vacuum excavators are standard on many sites. There are also a large number of 500- and 800-gallon trailer vacuum excavators being deployed for their portability on buggies as they fit the need of a variety of the applications needed at a lower capital purchase point. Does the business in this sector lean more toward rental or purchase? Wage: This segment is both a strong rental and purchase market. We see a good deal of both approaches. Many contractors that own units also rent machines to flex with their work load. What are the benefits of rental vs. purchase? Wage: As with all equipment, renting allows for trying a piece of equipment out to review its performance, reliability and support included with the asset before purchasing, as well as the flexibility to end the expense associated with the asset at the end of the project. What should a potential pipeline-related customer consider when considering whether a vacuum excavator is right for their business? What are the most important maintenance concerns aside from the basic filters, fluids, etc.? Wage: Filtration system is key to keep air flowing freely and keeping debris from entering the blower. Most proven systems have multiple stages of filtration before reaching the vacuum blower. Keeping these systems clean and operating properly is critical. Tires, trailers and machine weights for scaling purposes are also important concerns. It is critical to both consider vehicle weights dry and also full of debris and fresh water and knowing state departments of transportation regulations is an area that can slow down an operation quickly. This story originally appeared in the March 2015 issue of North American Oil & Gas Pipeline. For more information, please visit www.napipelines.com.